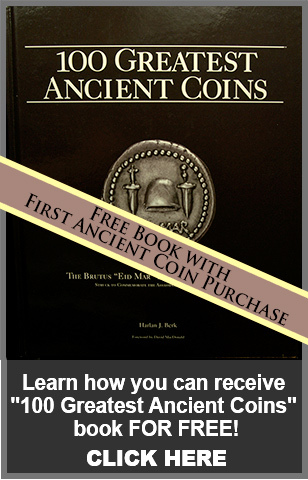 Most experts agree that the appearance of the first coins were in the Ioinan and Lydian regions of Asia Minor, or present-day Turkey. 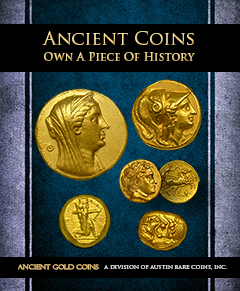 The first Ionian coinage employed a "Ripple" design and was cast around 650-600 BC using a naturally occurring mixture of gold and silver called electrum. Electrum was most often encountered in or around creeks and riverbeds. Eventually the basic designs progressed into more elaborate imagery depicting animals, humans, and intricate geometric depictions.